As a shower of sparks fly, seven gigantic robotic arms harmoniously weld automotive parts together. They narrowly avoiding each other, but never crash. Their calculated movements assemble car bodies with ease. Right before your eyes, the shining pieces of metal become the skeleton of a car. On his way to his station, Joe throws a glance over the assembly line. Many workers in bright white jumpsuits are fleshing out car skeletons with smaller parts. Their movements rivaling the synergy of the robots. Buzzing with the steady hum of activity, this automotive plant produces top of the line automobiles with a near perfect assembly line system. Joe’s station is in the VQ(Vehicle Quality) department, which is responsible for testing the vehicles before they drive out of the factory. His specialty is inspecting the engine components for any factory defects. This car manufacturing plant has an innovative quality control system. Sensors are placed in each car which tracks the car's progress through the assembly line. These sensors can also detect defects in the cars in real time, pausing the assembly line for workers to immediately inspect and/or fix any problem. This dramatically reduces the number of defective cars that actually leave the factory, saving the car manufacturer money, time, and their reputation. Joe finally arrives at his station, saying a gruff good morning to the other technicians, and gets started with his work. About an hour into his shift a buzzer punctuates the steady hum of activity. This signals that a defect was detected, stopping the assembly line cold in its tracks. When this happens, a technician immediately goes to the defected car, identifies the problem, and fixes it quickly so the assembly line can get back on track. This time, the defect seems to be with the engine component of an unfinished car: Joe’s specialty. Pulling on his thick protective gloves with his toolbox in hand, he rushes towards the problem. Typical car engine inspections are visual and nondestructive. These complicated engines undergo many tests before leaving the factory and even more ongoing maintenance checks throughout their lifetime. 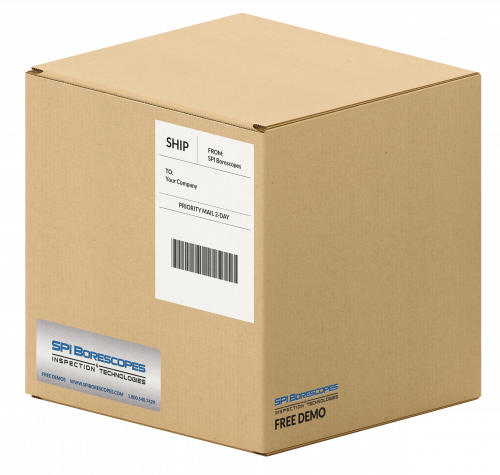 Flexible video borescopes are ideal for inspecting most of these components because they show the engine parts in the real-time video. 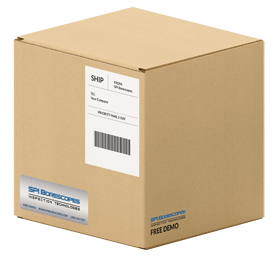 This allows any mechanic, whether it be for a small to mid-size business or a car manufacturing plant, to detect any problems quickly and accurately. Regular car engine inspections can prove to be difficult because of their mostly visual nature. Technicians often have to take apart the entire engine in order to identify existing or potential problems. This can take up valuable time and energy that the technician can spend servicing other cars and earning the company more profit. 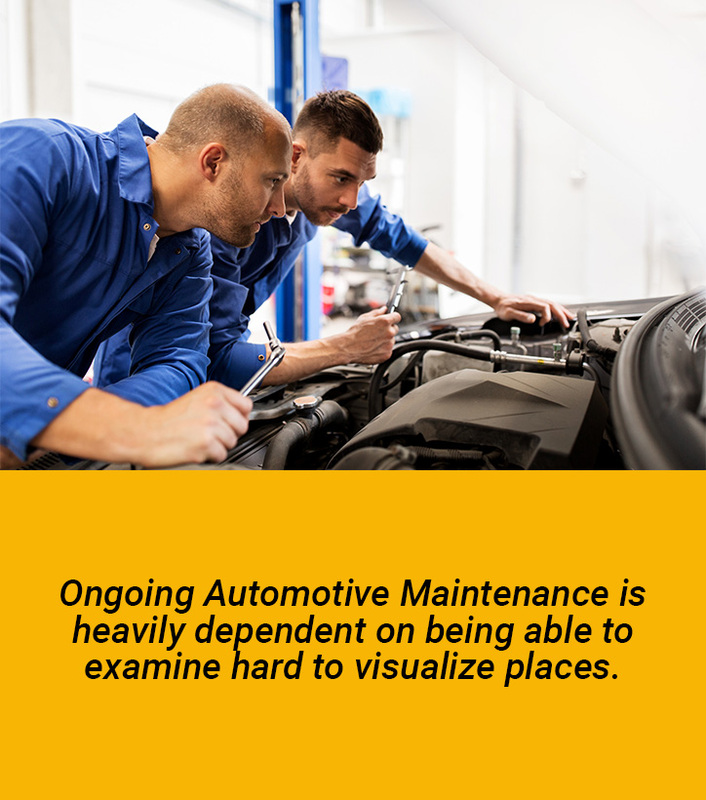 Ongoing automotive maintenance is heavily dependent on being able to examine hard to visualize places. A car engine is very compact and almost impossible to inspect without taking the engine block apart. Automotive manufacturing plants work very efficiently so there is no time to waste when inspecting car engines for problems before they drive out of the assembly line and hit the road. Whether a car needs to be inspected in an auto repair shop or on an assembly line, it is crucial that the mechanic is prepared with a tool that saves time, energy, and uncertainty. The engine of a car is the most important and complex component. Accurate inspections are key to maintaining a car in top working condition. 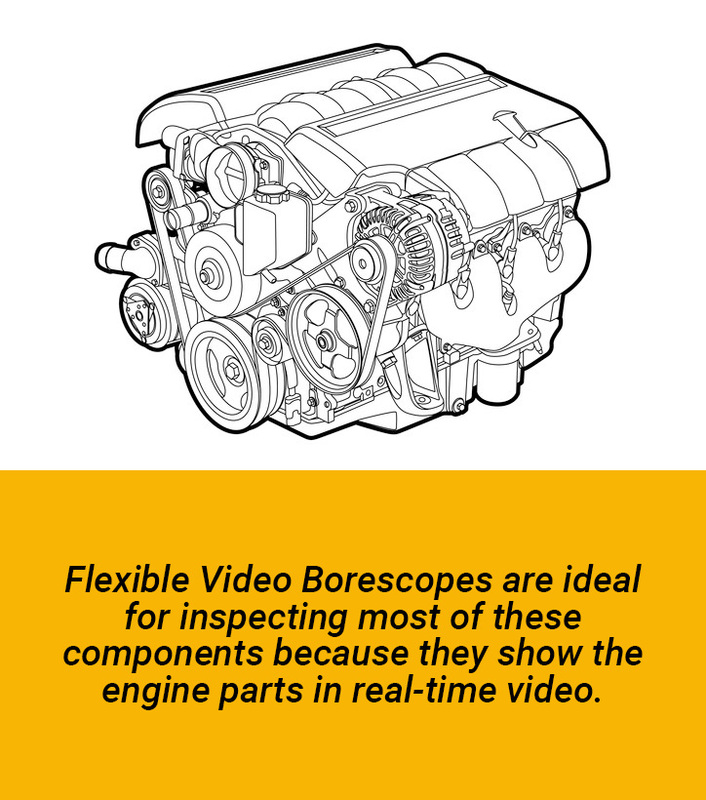 An articulating video borescope completes the auto mechanic’s toolbox by providing a clear inside view of car engines. The X1 SERIES & The DG1 SERIES. 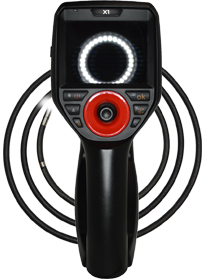 The X1 Series Articulating Video Boresocpe is a huge breakthrough in Remote Visual Inspection Technology. The X1 offers a sleek and strategic design, military grade durability, and the most responsive articulation on the market. 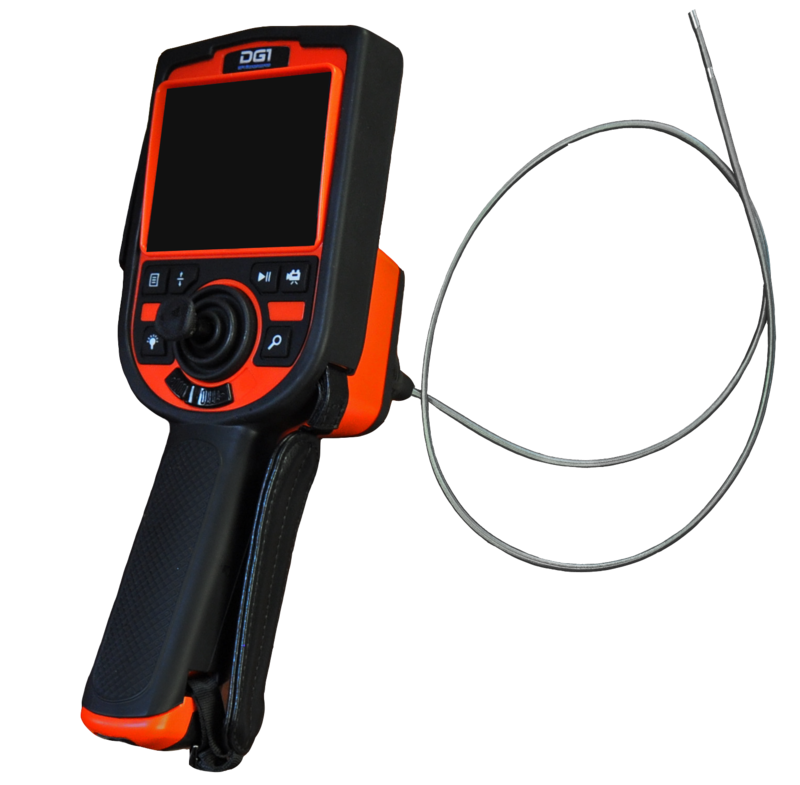 The DG1 Series Articulating Video Borescope provides the best combination of PORTABILITY, DURABILITY, and QUALITY, while having one of the best price tags in the RVI industry. When you are ready to take your inspections to shift your inspection up into the next gear, call one of our helpful consultants to find the perfect tool for you.